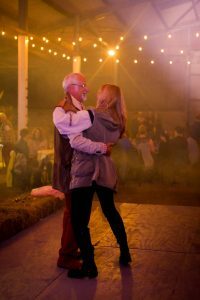 The old approach to lighting events and event spaces is still one of the best ways to do it. 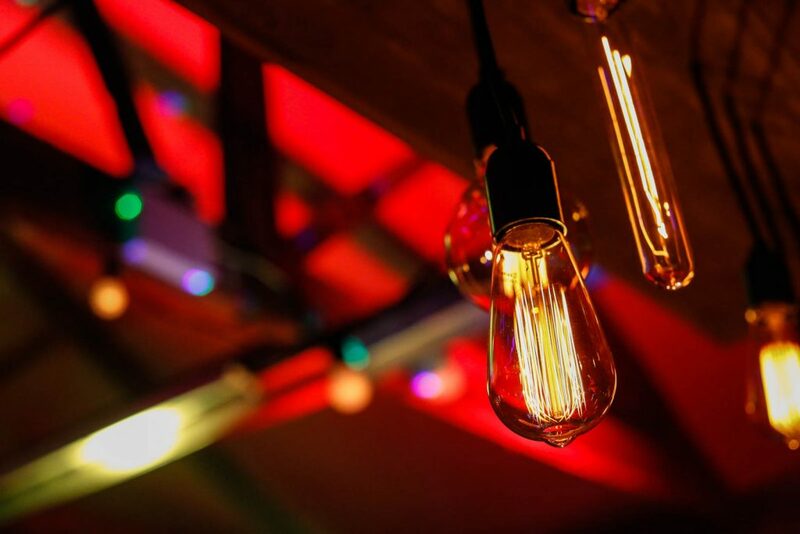 Using a festoon can bring warmth and a cool retro feel to any space. 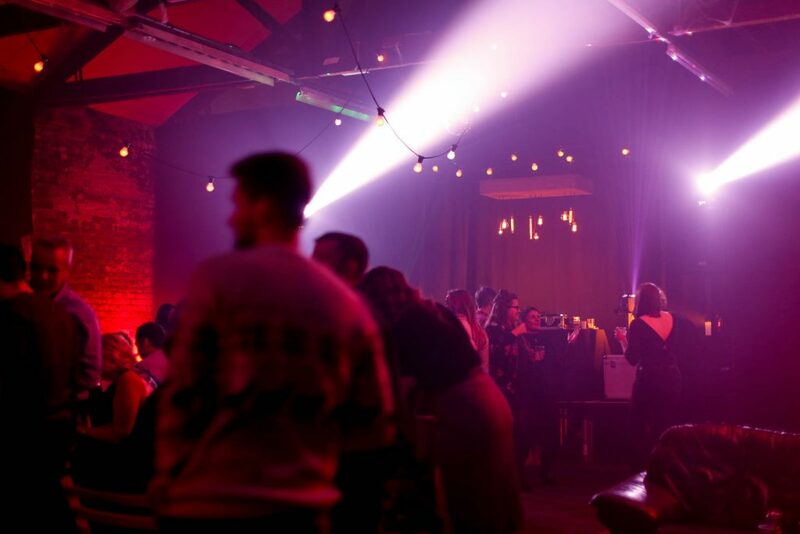 Ours can be used indoors or outdoors (IP66 rated) and can be adjusted in lengths based around combining individual 25 meter sections, but often just one length might be enough for a small event. We have in stock 4 x 25 meter lengths with the bulbs spaced at 1m intervals, and 2 x 20m length with bulbs spaced at 50cm intervals, both of which are seen in the images below. Depending on your requirements, these are provided with easy to use dimmer controllers to allow adjustment of the lights to your taste. 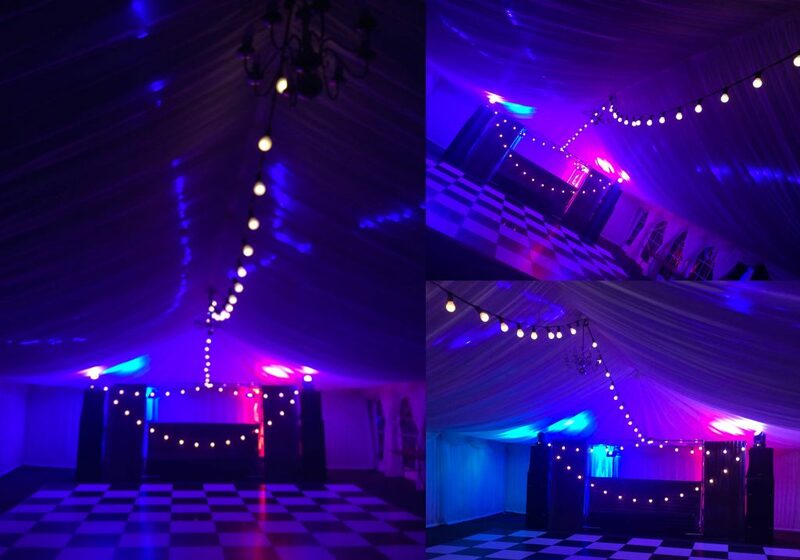 Festoon lighting for a marquee event. 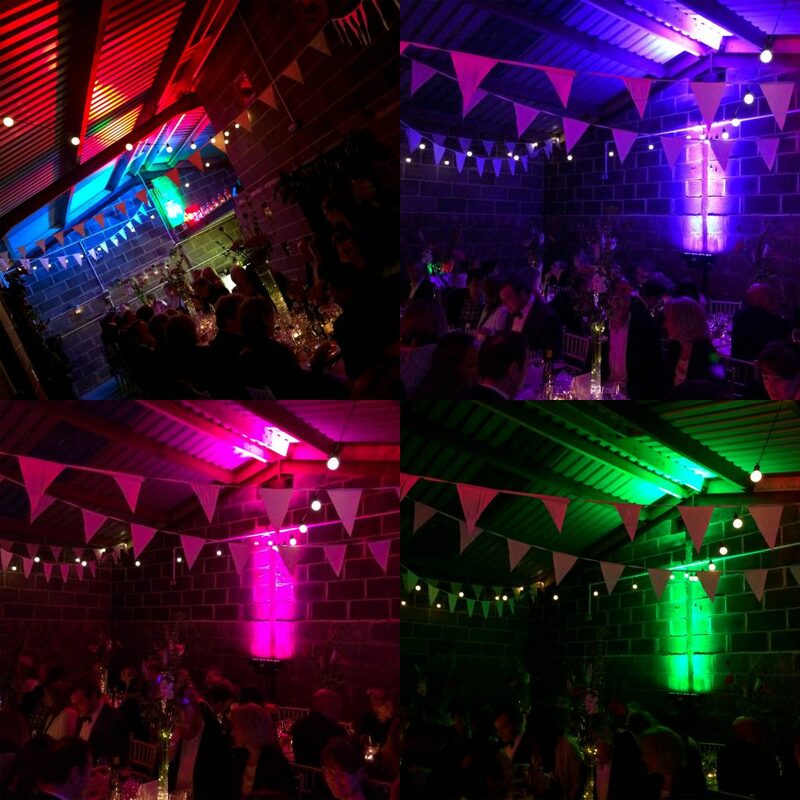 Retro wedding lighting. 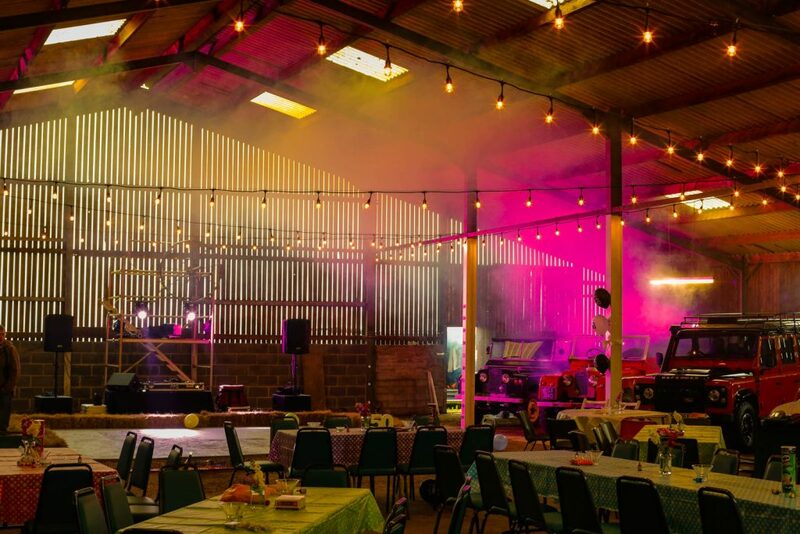 Festoon and wash lighting transforms a rustic barn for a sophisticated party. Vintage effect mixed with modern lighting. 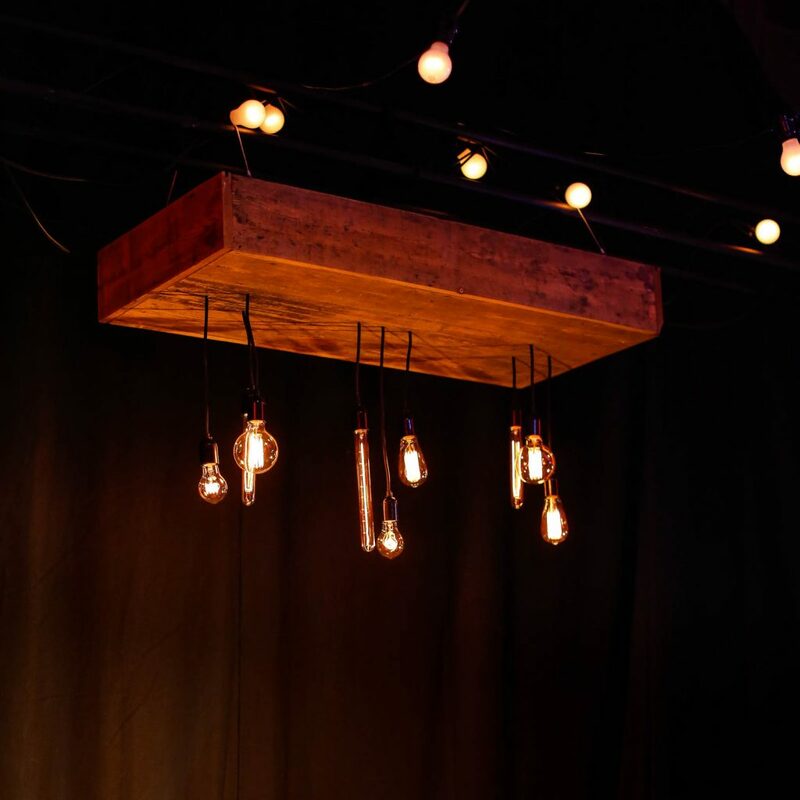 We also have light boxes made from authentic distressed hardwood floorboards, and a collection of different woodbox lighting designs under construction (images to follow). You can use these by hanging from the roof in a marquee, inside any building, or simply from a truss- although site visits are required to properly assess hanging options in some situations. Inside these boxes there is 16amp power distribution and a switch fitted with a dimmer to control the lights. There is also a set of LED strip light running around the inside of the box, which can be used to uplight above the box in any colour, and also be used to illuminate anything you might wish to place inside the box, such a flowers or perhaps other decorations. If you’re aiming for something a little different, then these boxes are a great choice. 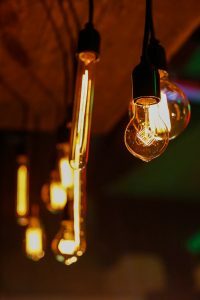 Filament bulbs: £POA (depends on style) but approximately, £3.50 for ‘basic’ and up to £10 for more exotic designs per bulb. Please also note that the lightbox requires time to be hung correctly, and may require authorisation from a venue before it can be used. More light boxes coming soon.